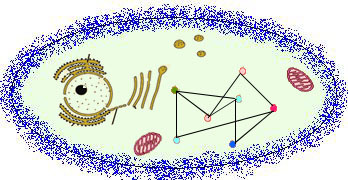 Proprint web-server predicts physical or functional interactions between protein molecules. We have exploited the amino acid sequence-based descriptors such as amino acid composition, dipeptide composition, biochemical classes composition, pseudo-amino acid composition, Position Specific Scoring Matrix (PSSM) etc for the vector representation of protein sequences. For the web-server development we have employed only three models i)amino acid composition ii) dipeptide composition and iii) biochemical classes tripeptide composition. Support Vector Machine(SVM) is used to train the prediction models. Till now we have undertaken three different species i) Escherichia coli, ii) Saccharomyces cerevisiae and iii) Helicobacter pylori for this study. More organism model will be included in near future . Rashid, M.; Ramasamy, S. and Raghava, GPS (2010) A Simple Approach for Predicting Protein-Protein Interactions. Current Protein and Peptide Science 11 (7), 589-600.